In a double-cast production comprised of students from all grade levels, the Flintridge Prep Performing Arts department brought the classic musical Hello, Dolly! to life the weekends of March 2 and March 9. 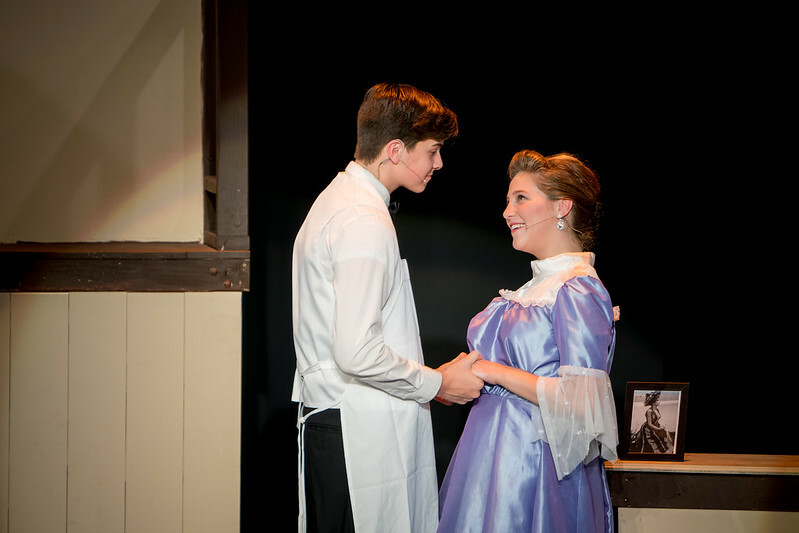 The show featured two lead casts, a large ensemble, crew, costumers, choreographers and musicians all from the student body and faculty, and is based on the play The Matchmaker by Thornton Wilder. Led by the antics of matchmaker/Jill-of-all-trades Dolly Levi as she cleverly pursues bachelor Horace Vandergelder, the lively show is a tale of love, lust, independence, spontaneous trips to New York City and accidentally swapped wallets. The show, directed by Rob Lewis, includes period costumes entirely handmade by designer Amy Mazzaferro, set design by Dante Carr and choreography by dance teacher Molly Mattei and Caterina Mercante. It also marked the 20th musical production of vocal teacher and music director Steve Hill.